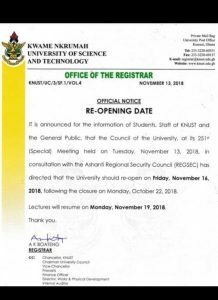 The Kwame Nkrumah University of Science and Technology (KNUST) will be reopened on Friday, November 16, 2018. 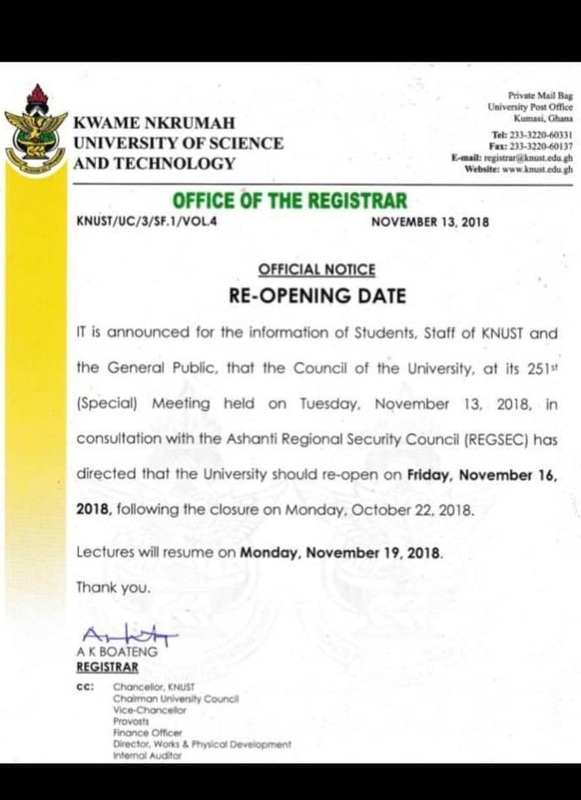 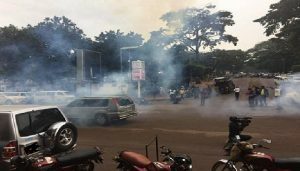 This was announced by the KNUST University Relations Officer, Kwame Yeboah on Tuesday afternoon, after the school’s new Governing Council was constituted and new members sworn in. 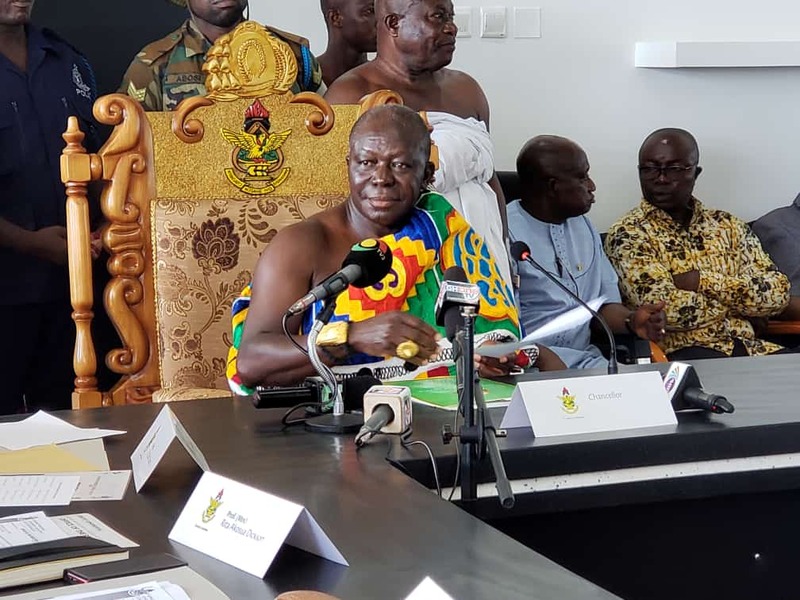 Some members of the old council has been maintained, through the active leadership of Asantehene, Otumfuo Osei Tutu II – Chancellor of the university. 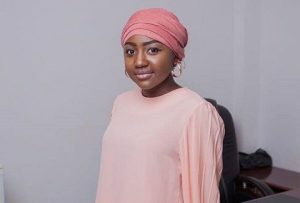 The about six new members will be joining the remaining nine members, including representatives from the unions who will however not be sworn in since they are already members of the council, and therefore there is no need swearing them in again, choicism.com has learnt. 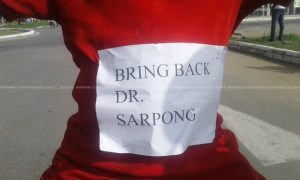 This means that the same representatives from the University Teachers Association of Ghana (UTAG), Prof E.K. 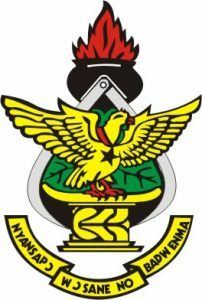 Fokuo, the Tertiary Education Workers Union (TEWU), Mr Charles Arthur and the Students Representative Council (SRC), Kevin Sah will be on the governing council.